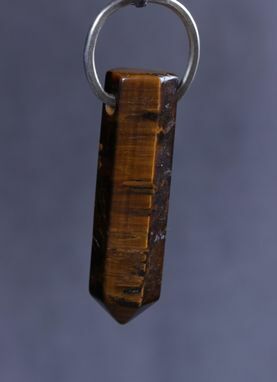 This stone features a rare iron stripe formation, which is also known as Tiger Eye. I cut and shaped it into 6-sided stone to highlight its natural features, then wrapped it with hammered sterling silver wire. 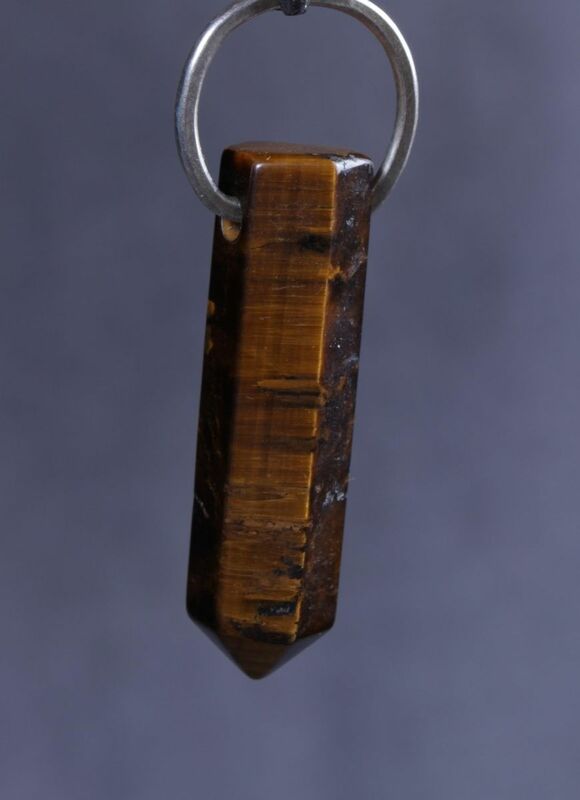 This 2-inch long and a half inch wide pendant can be worn with any of our silver necklace pieces.